All current research on faith development affirms that if faith isn’t passed on, lived out and nurtured in the home, we can’t then reasonably expect children and grandchildren to catch that faith. For too long, particularly in the Protestant Church, we have over-relied on our Sunday worship as the key way to pass on the good news to the next generation. But how on earth can 40 minutes of Sunday school once a week and the occasional family service ever be expected to nurture a deep and real encounter with God for our children? Unless we experience God’s presence in the everyday of our weekday lives, faith is highly likely to remain sheltered, shallow and vulnerable. BRF’s Faith in Homes ministry with its website, Facebook page and books has been building on these insights for some years now and, in partnership with others, has sought to put faith nurture back in the hands of parents and carers. The publication this autumn of The Barnabas Family Bible will be a huge help in this respect. 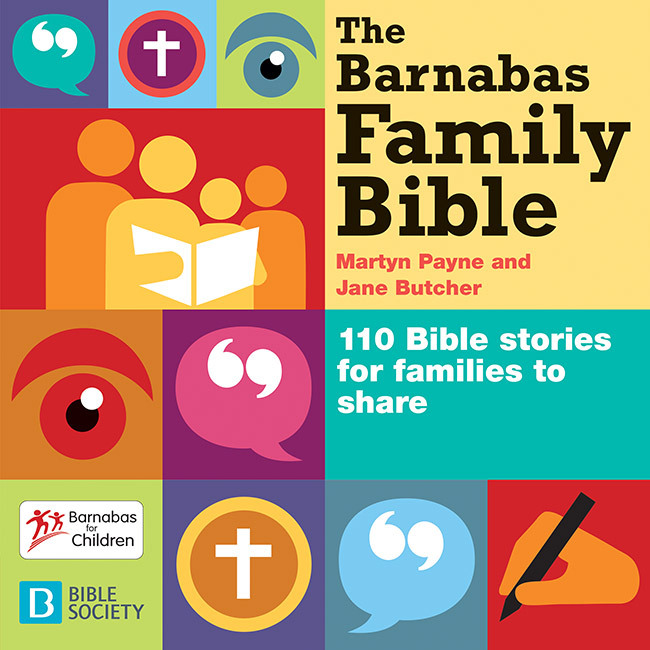 For each of its 110 key Bible stories there is a wealth of support material designed to equip parents and carers to explore those stories creatively with children in the home environment. There are suggestions for family activities and ideas for prayer and visual aids, as well as a short commentary on each passage that applies its teaching to the cut and thrust of family life today. As such it will be an invaluable resource to those parents and carers who long to help their children enjoy the Bible and who also, along with their children, want to hear how God can speak to them and be with them seven days a week. A copy will also be available in the ChYP’s library.